Source: Received as a gift! This has not influenced my review. Cress should really come with an instruction manual titled, “How to Carry on With Life After Cress”. That’s if there IS a life after Cress. 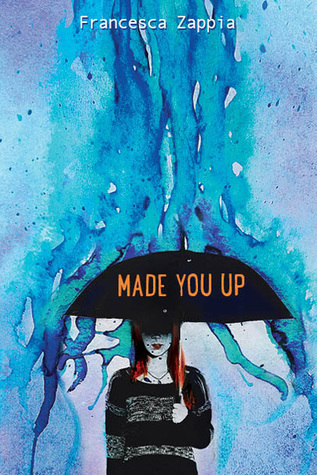 Marissa Meyer is one super talented, super clever person. Her stories seem so vivid and real to me. Every single little detail in her books is so articulately planned out, like how the stories and characters merge with each other – and how they merge with the original fairytale. One of the most enjoyable aspects of Cress for me was guessing if one thing was trying to symbolise something else from the original. Plus it was great fun to revisit all the fairytales I fell in love with when I was younger – and still love now – and realise all the things I had forgotten over time. And as I said before, I love how all the lives of the characters intertwine. This is just so incredible as well, because all the characters were inspired by very different fairytales and are therefore very different in themselves. Meyer has managed to weave Cinderella, Little Red Riding Hood, Rapunzel and Snow White closely into the same fairytale. On the topic of Snow White, I am scared of reading Winter. I’m not going to lie, when I was introduced to Winter in this book, I freaked out. SHE freaked me out. Her character was definitely a little creepy. And I am very, very curious as to how Marissa Meyer is going to write about an insane Snow White. And what freaked me out even more, was Jacin. He was introduced earlier than Winter but I knew straight away he was going to be the love interest. AND I HATE HIM. The angst right now. All the angst. But it’s ok because I have faith in my favourite author to pull this off. Speaking of love interests, I was a little disappointed in Thorne. I had such high hopes for him after Scarlet but he really wasn’t himself(?) in this book. He had plenty of reason not to be but I kind of missed his arrogant jibes a bit. There were a couple but not as many. But he was so cute with Cress, almost as cute as Cress herself. 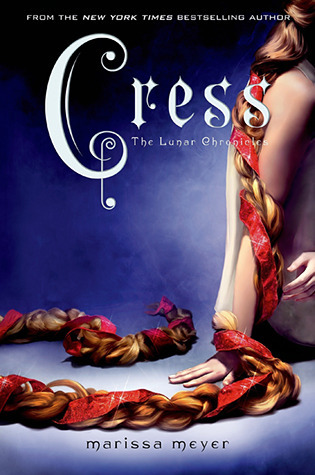 If I was in the Lunar Chronicles, I would be Cress. She fits my physical description completely and is really like me on the inside too. I wish there had been more Scarlet in this story but at the same time I didn’t want there to be any less of Cinder or Cress. And the tension in this story was unbelievable. Cress was definitely setting up for one intense finale in Winter. I’m also scared of Winter because I’m absolutely terrified that someone is going to die. People also die in book finales and I LOVE THEM ALL TOO MUCH. PLEASE DON’T EVEN THINK ABOUT IT MARISSA MEYER. I even love Iko to pieces, I hope she finds a romantic interest in the next book. She needs it: first Kai then Thorne and they’re both taken. The world is cruel. Thinking about it, I would really like to see Marissa Meyer tackle the Little Mermaid. That would be cooler than a penguin in a tub of liquid nitrogen. Provided no harm came to the penguin. IT WOULD JUST BE VERY COLD AND THEREFORE COOL IF YOU KNOW WHAT I’M SAYING. And all the feels as well. I didn’t cry in The Fault in Our Stars but Cress actually brought me closer to tears with one particular scene. I was so absorbed in the story as well. I did not want to stop reading at all. I usually keep a track of the last page but with Cress (and Scarlet and Cinder) I was completely confused when the book ended. I was not prepared at all. I love this series, it’s a favourite. You actually need to read this. I can’t wait to visit the land of Lunar in Winter. A round-up: Because it’s been a while. I am very, very sorry for peppering you all with reviews. I know personally that other posts are a little more…enticing. But reviews are definitely important. Here’s a bit of a round-up – I won’t be doing one like usual because it’s been a while since I did my last one and it’s too hard and too long to list everything that I’ve done since February (yes it’s been a while). •Post a sticker – whether it be mine or your own (provided it has Counting the Stars on it). •Either a) leave a link to your post in the comments below or b) tell me your answers in the comments – either is fine! •Try to post titles under at least a few of the categories below. We went away in April, and my mum was kind enough to buy me a book to take. And she was also kind enough to buy me A Darker Shade of Magic when it was a Kindle Monthly Deal. I hope you liked this post and for sticking with me! Please feel free to share what books you’ve recently bought/read in the comments! I’m always interested. Source: Received in exchange for review. This has not influenced the content of my review. 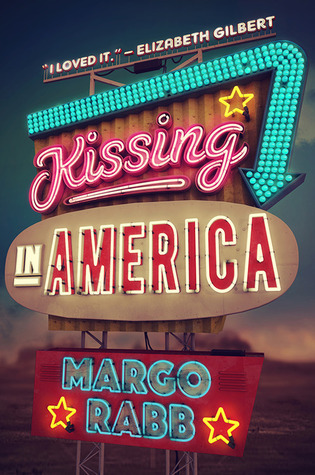 Rare diseases, first love and a cute guy next door…what could go wrong, right? Well naïve little reader, a lot. And unfortunately in my opinion, that didn’t just apply to the storyline but the actual book as well. The good and bad per point I want to talk about seems to evenly have their ups and downs. For example, the idea of having such a rare disease of being allergic to everything was really cool. In fact, I’d say it was the guiding reason as to why I was so immensely so excited about reading this book. But at the same time, I actually blame that for why the story was so slow. The author didn’t really have all that much to work with. The story kind of dragged on a big because nothing really happened. I mean – the girl was stuck inside the same building all day and night. In that sense I don’t really blame the author at all. I thought it was a good way to deal with the messages that the book was trying to get across. And they were excellent messages for sure. Just again, I think they could have been handled better. Why? Exhibit A: The plot twist. Really? That was predictable. Although the way that the main character got to this point was questionable at best. A lot of the decisions made seemed kind of selfish and naïve. Yet, she had reason to be so. All in all, I really liked this book. I did have my issues with it but I am super excited to read more by this author. You’ve never seen Little Red Riding Hood told this way before. And you certainly aren’t supposed to fall in love with the wolf. Marissa Meyer is a storytelling mastermind – she has done some amazing setting up for the rest of the series. The lives of all the major characters from four very different fairytales are all cleverly tangled together, despite how different the storylines are. And I love every single character. Especially Thorne. He’s so funny and I can’t wait to see him more in Cress. Scarlet and Wolf were so cute as well. Or at least Wolf is. He seems really awkward. Unfortunately I didn’t enjoy Scarlet as much as Cinder. I thought that in comparison the story moved very slowly and wasn’t as interesting. 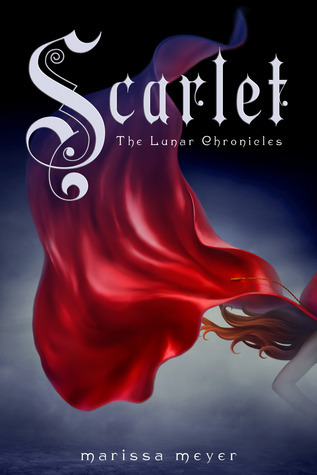 Scarlet was mostly about Scarlet looking for her grandmother were as I felt Cinder went through a lot more. 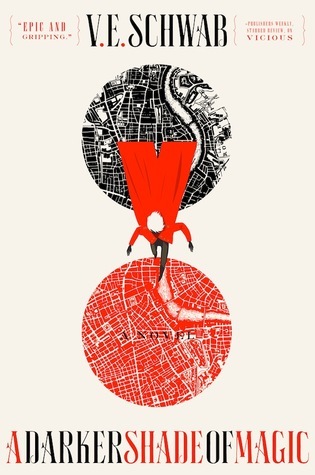 It took me a lot longer to read Scarlet than I did Cinder. I absolutely loved the setting. France is one of my favourite places on Earth and I would love to read more stories that are set there. Although perhaps I would have enjoyed it more if a couple of more details specifically about France had been mentioned, without being told it was France, you wouldn’t really know where it was set. You could probably guess that it was set in Europe though. And to be honest, Futuristic France would almost definitely have very little in common with Current France, particularly with all it had gone through to get to Futuristic France. One thing that I particularly love about the Lunar Chronicles is that the characters from previous books return, even though it is kind of a companion series in the way that each book is predominantly about someone new. But at the same time it’s really not a companion series either. I’m so excited to continue on with the series. I loved Cinder when I first read it (constantly addressing it as a favourite) and now I love Scarlet. As I’m writing this review I’m almost half way through Cress and adoring it. I am completely gutted that I have to wait ages for Winter. Meteor shower. A great show! Okay, I’m not gonna lie: my expectations for this book weren’t exactly extremely high. And before you go off skulking (geddit?!) let me explain. You see, I’m not terrible keen on shapeshifter/talking animal books. Werewolves aren’t too bad but generally, this is a no-go area for me. But what can I say? 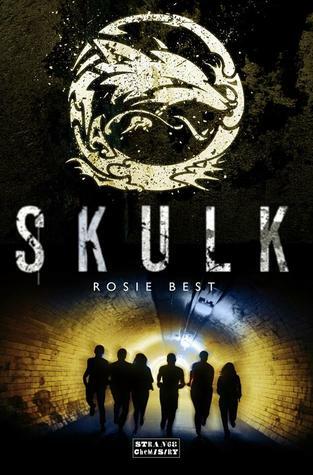 I was pleasantly surprised by Skulk. Hoesntly, I wasn’t completely wrapped in the shapeshifter business, but really I thought that the author pulled it off quite well. I absolutely loved the way that the author had seamlessly incorporated London into this book. I could really vividly picture it and it was actually one of the things I loved most about this book. I have never come across a main character who does graffiti before. It was really interesting to see it from a different perspective, rather than just the defacing scribble of juvenile delinquents as it tends to be portayed as (or at least where I live). It was really cool to see it talked about as an actual art form with passionate supporters. Overall I thought that Skulk was entertaining enough. 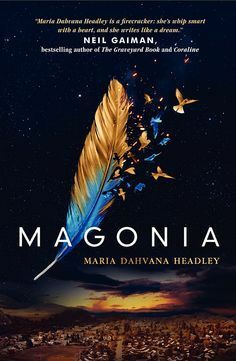 The pacing was reasonable and I really liked the world that the author had created, with all the different stones and species (if that’s what you’d call them). I wasn’t super into the romance, at least not at first. I think that it grew on me after a while. I actually lost interest in the story a bit towards the end as well. Probably my major issue with this book is the unrealistc reactions the main character had to a certain couple events. I am going to go ahead and describe them because they happen very early on in the book. First off, the main character witnesses someone shapeshift, and then die at the hands of a vicious fog in front of her eyes (keeping in mind she doesn’t actually know shapeshifters are real until that moment) and then her basic reaction is along the lines of ‘yeah, alright’. Really? And then she HERSELF shapeshifts for the first time, and yet again, she barely even reacts. I think that this book was alright. It’s the kind of book you pick up should the chance present itself. I say this because while it was good, it wasn’t great. One of those reads for me. The good and the bad seemed to balance themselves out for me. For example, I really enjoyed the beginning but I wasn’t impressed by the end. 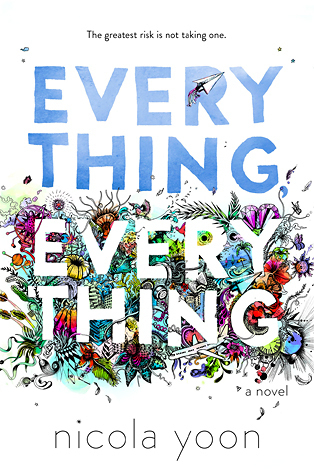 I actually became interested in this book first when I read a sample as part of the Buzz Books 2015 sample collection. I absolutely loved the sample and therefore the beginning. In fact the excerpts from the romance novels the main character read really amused me. Particularly the use of “man-dew”. Just wow. Speaking of the romance novels bit, I found them to be a win-lose kind of deal. I loved reading about a character who loved those cheap, trashy books I see going ridiculously cheap in bins in department store. I thought it was cute and quirky. And I kind of relate to her in some ways, although I tend to stray from those particular types of books. But I didn’t like their influence on the story. I felt like they almost kind of made her stupid. I know that’s a harsh thing to say. But the way she obsessed over a boy which to be honest she didn’t even know that well,from what I read in the book anyway. And it’s pretty sad that she went to such extremes to follow a crush to another city. Borderline concerning. The way she treated her best friend in that sense was pretty average. The book was a pretty quick read for me. Particularly the first half. The second half wasn’t as good. Most of the second half was travelling actually, and that really slowed it down too much. I don’t feel like there’s much more to say. I would recommend this book, even if it doesn’t sound like it. Maybe borrow rather than buy is what I’m saying. If you follow any other blogs (how could you?! ), you will probably be well and truly sick of bloggers going away and coming back with a post complaining about their problems. There are multiple reasons why there is a lack of posts on this blog. Yes, I’m playing THAT card. But it is a fantastic reason. A terrible reason, actually. As a Year 11 student, I have my first exams coming up not next week, but spread over the two weeks after that. Do you know what that means? I have to sit five three hour tests that can be worth as much as up to 50% of my grade, which scares me. That’s a lot of essays, people. So I have been spending all my time doing assignments and tests and now I have to study for these things. During my last holidays I went away for a week. And the entire week at home was spent trying to rush through all my holiday homework so I could get it done = no time to blog. Recently I have set up another two blogs for my other two interests. I’ve almost completed the design of one of them, but again I haven’t really had time. Before I could post again, I absolutely had to change my blog design. I apologise for the abomination that it was. So what I plan to do is begin posting again on the three days I have after exams before I go to school. Who knows if I’ll post before then?! Well if you do know, please tell me.